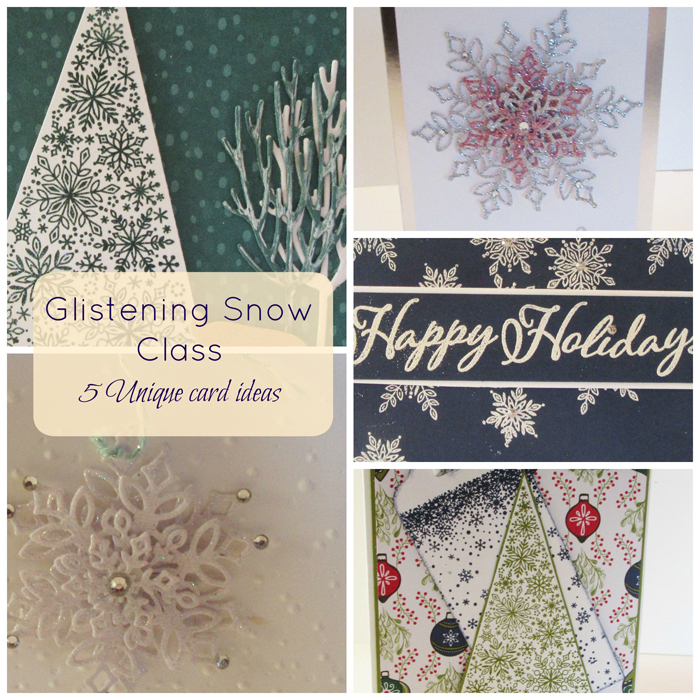 Today I am sharing my Snow is Glistening Card Class that uses the limited edition Snow is Glistening Stamp set and the Snowflake Thinlit Dies. This stamp set is only available in the month of November or while supplies last. If you are local to me, I will be offering this class on Thursday November 15th at 7pm or on Friday the 16th during the day. If you aren’t local, you can purchase the PDF for this Class HERE. 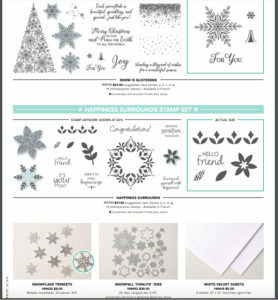 This PDF is only for the Snow is Glistening stamp set however you could use the card layouts for the Happiness Abounds stamp set too. step-by-step instructions for 5 beautiful cards. This special includes two beautiful stamp sets with gorgeous snowflake thinlits. The great things about these thinlits is they work with both the Snow is Glistening stamp set and the Happiness abounds stamp set as well! Ready to place an order? If you are in the USA, I would love to be your demonstrator. If your order is under $150 use the Host Code X744RT6Y and I will send you a package of the snowflake embellishments! Of course, if you order is over $150 then keep your own Host rewards!! Snow is Glistening stamp set. Bookmark.